Emerson Mayes is back in the gallery after a two year break with some stunning oil paintings of North Yorkshire. Lots of colour and texture giving them a modern Impressionist look. Harriet Peachey has found fame in Kent charting the coastline and has now conducted five studies of Runswick Bay, Whitby and Staithes. All five are on display at Bils & Rye with more in the pipeline. Arriving on the 11th April are some stunning stone sculptures by Mel Fraser. Based near Cambridge, Mel has a rich pedigree in sculpting fine works in alabaster and marble that react with light beautifully. 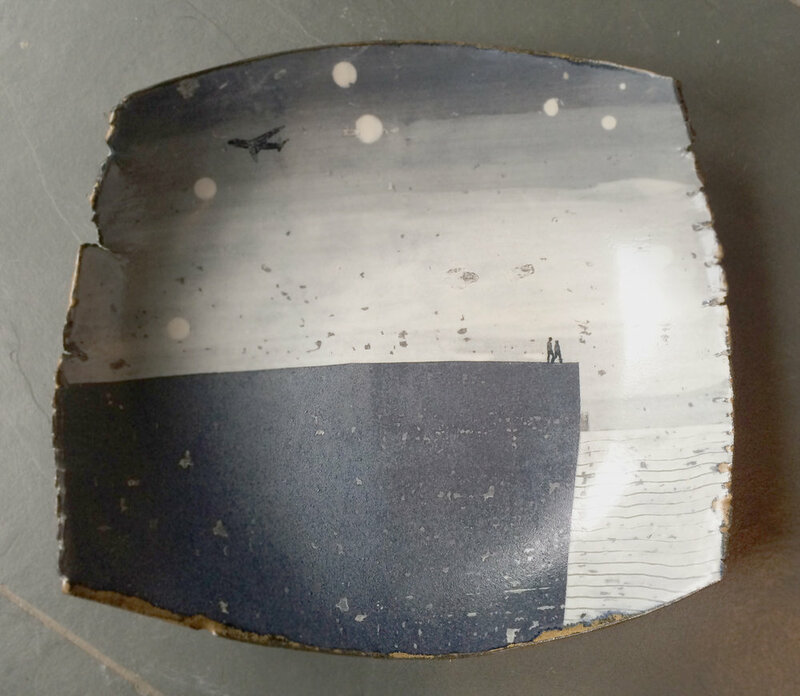 Delighted to have two of Adam's fabulous Moon Jars in the gallery with more work being made now. We love the purity of the porcelain in combination with the glaze detailing that marks Adam's work as unique and highly collected. The first batch has proved very popular and one wound it's way to Philadelphia with another due to head to New York and one went down to Cornwall. Two more arrive this week. 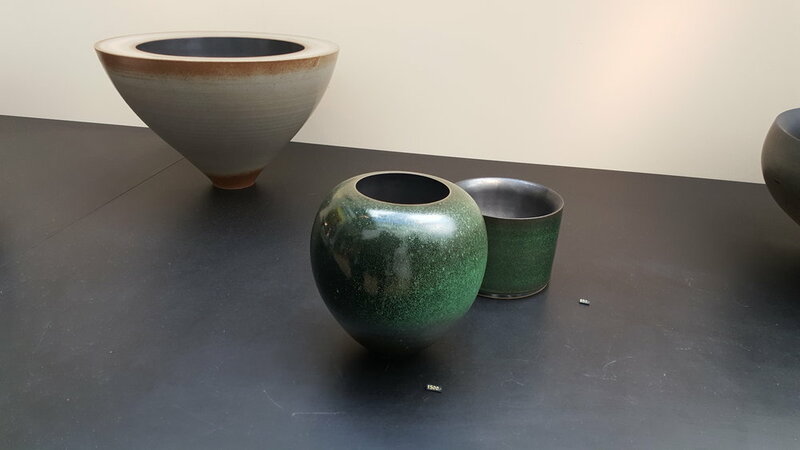 New raku works arrived from Kate's Kent studios. Her control over the unpredictable raku process is second to none. Three new works arrived from the McKinney Fine Art Foundry including this amazing large scale bronze bowl. Bringing a permanence to ceramics! Delighted to have a new version of Anne-Marie's Pixels wall hanging in the gallery. 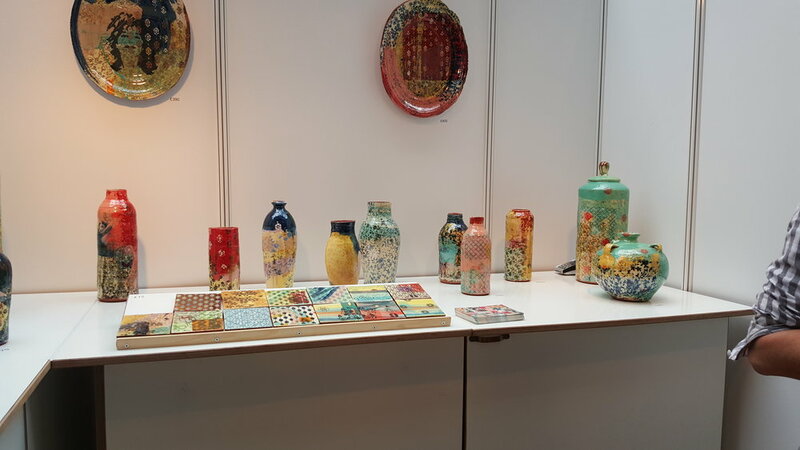 Based on her observations of the Thames Estuary each pixel is individually finished with a different glaze with combinations of matt and shiny glazes creating an ever changing backdrop. Inspired! Newer PostRenovations! New Arrivals Too!